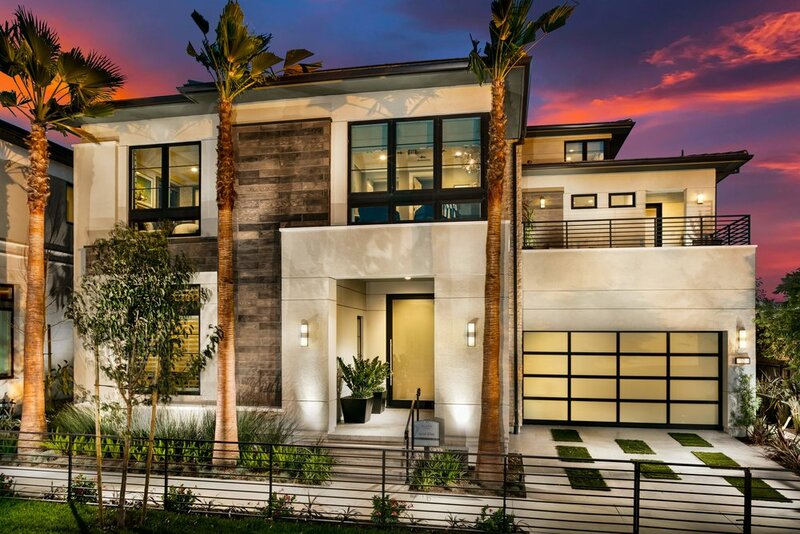 On the edge of Del Sur, Artesian Estates represent a luxury alternative with floor plans ranging from 4,200-5,700 s.f. The Carrington exudes elegance with an expansive, lush landscaped fore-garden and interior courtyard, followed by a grand pool and lawn in the rear yard. Stoneleigh recounts a California Heritage garden, with a traditional interior courtyard pool. Sweeping terraces and lawns are ideal for outdoor dining. The Huntington is about grand spaces, with an Olive orchard and lavender mass plantings complimenting the brick architecture. An impressive fireplace is the focal point for the pool, while a sundeck and al fresco kitchen are perfect for entertaining.